I want to yell run turkey run! He/She is beautiful. Love the definition of the breast. Bless its heart, I hope he can hide out and lay low for several weeks. He’s safe in the city limits…as firearms cannot be discharged! Ha! 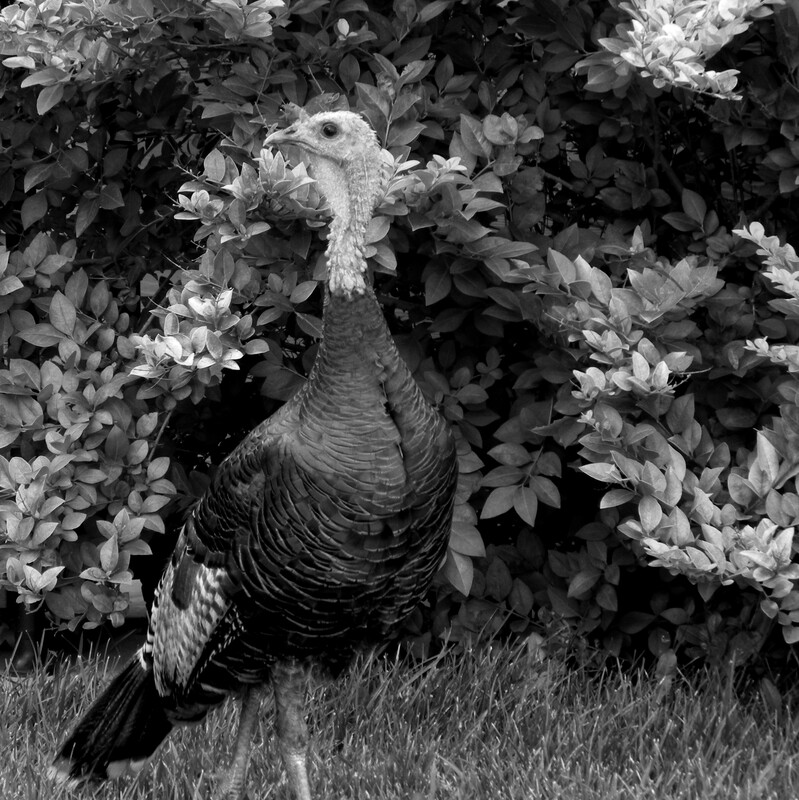 great photo – however that turkey does not look too worried…kind of has an attitude! It must know it’s in city limits….and safe! Beautiful photo. There are turkeys near my mother-in-law’s, but I NEVER see them. Everyone else is treated to sightings, but they seem to hide from me. The vegetarian. HA. We see them less often as more and more houses are built around us….but still spot a few.